According to neuropsychiatrist Dan Siegel, we've spent much of modern history thinking that physiological brain activity determines everything, and ignoring what goes on in the mind. In the following video clip from his 2017 Networker keynote, Siegel challenges us to help the mind rise above the brain's inborn, evolutionary vulnerabilities. With all the buzz about brain science, is it possible to lose sight of the mind? Dan Siegel, a pioneer in the applications of brain science to psychotherapy, says that the mind is much bigger than the brain. In the following video clip, he explains what this means for psychotherapy. 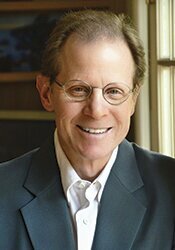 In this video clip from his 2015 Networker Symposium Keynote address, "Healing and Hope in the Human Age," psychiatrist and bestselling author Dan Siegel explores how human consciousness can evolve to meet the unprecedented challenges we face on a planet we're altering in ways never before contemplated. By Daniel Siegel - A therapist’s skill base and experience are vital to good therapy. But they’re rarely enough. The following story, taken from Daniel Siegel's 2017 Networker Symposium Dinner Storytelling piece, highlights the need to bring vulnerability and some measure of risk into the treatment room, letting go of any secret ambition to become a Master of the Therapeutic Universe. There’s no such person. By Daniel Siegel - In his 2017 Networker Symposium keynote address, neuropsychiatrist Daniel Siegel challenged the audience to move beyond the limiting concept of the “separate self” and apply the science of consciousness to get the mind to rise above the brain’s inborn, evolutionary vulnerabilities. Here's how we can make it happen. By Daniel Siegel - The past 40 years have given us a view of the mind that encompasses an emergent, self-organizing, embodied, and relational process that regulates the flow of energy and information. We now know that where attention goes, neural firing flows, and neural connection grows. Helping people develop more neural integration goes beyond reducing symptoms: it helps them thrive. Over the last twenty years, I've come to believe that integration is the key mechanism beneath both the absence of illness and the presence of well-being. Integration---the linkage of differentiated elements of a system---illuminates a direct pathway toward health. It's the way we avoid a life of dull, boring rigidity on the one hand, or explosive chaos on the other. The key to this transformation is cultivating the capacity for mindsight. Fifty years of research has confirmed that the emotional quality of our earliest attachment relationships is central to our well-being as adults. As unlikely as it may sound, the mathematics of complexity theory could offer us the key to the elusive secrets of mental health and personal well-being.